Wilde Custom Gear is expanding their usage of laser cut fabrics. Their newest item is their Modular Laser Cut Chest Rig. The new chest rig features an 8 column by 5 row grid made from laser cut material. It is fully MOLLE compatible but lighter in weight than traditional webbing construction. 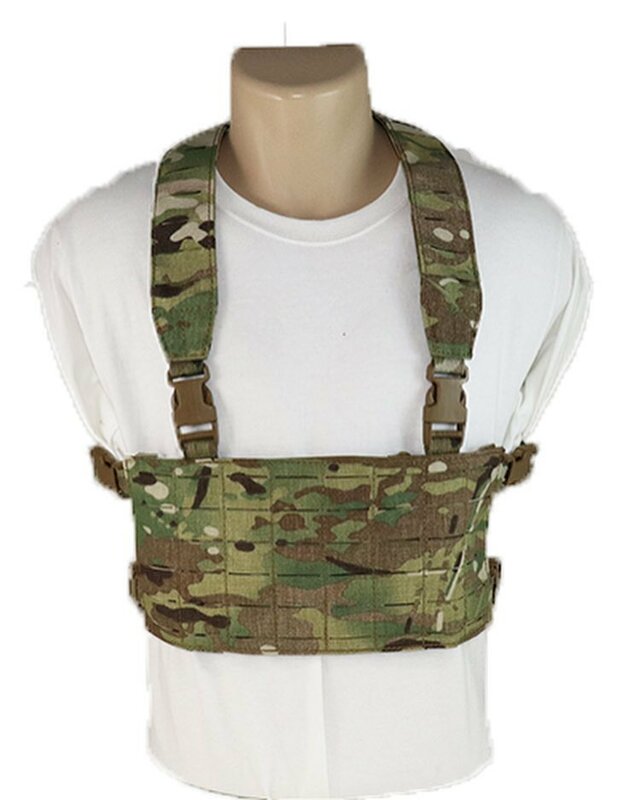 It comes with a captured “X” harness (an “H” harness adapter is sold separately) and lat strap which are removable so the rig can be docked on a plate carrier via the industry standard attachment method. There are a lot of details built into this rig. 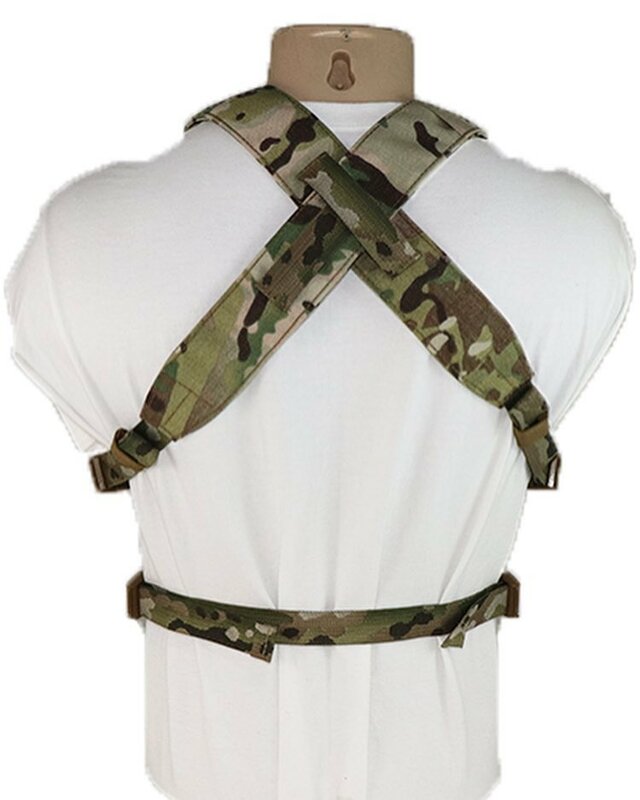 The side buckles can tuck into elastic keepers when the harness and lat strap are removed to keep it streamlined when attached to a plate carrier. 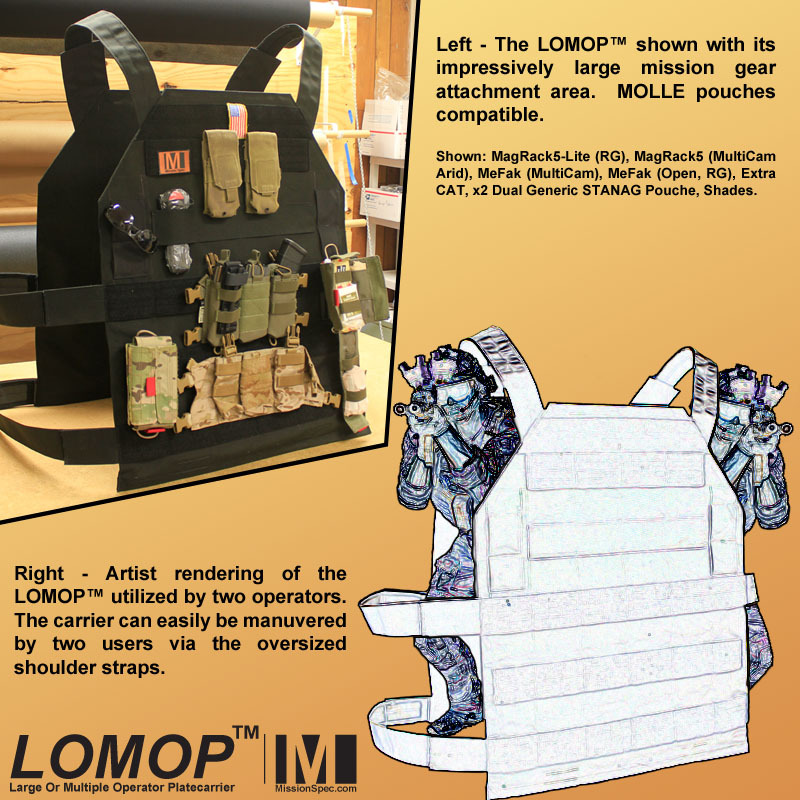 The shoulder straps are 2″ wide to ensure comfortable load carriage without a lot of bulk. It also features a zippered access that turns the entire interior of the rig into admin storage and Velcro on the back for use with drop accessories. 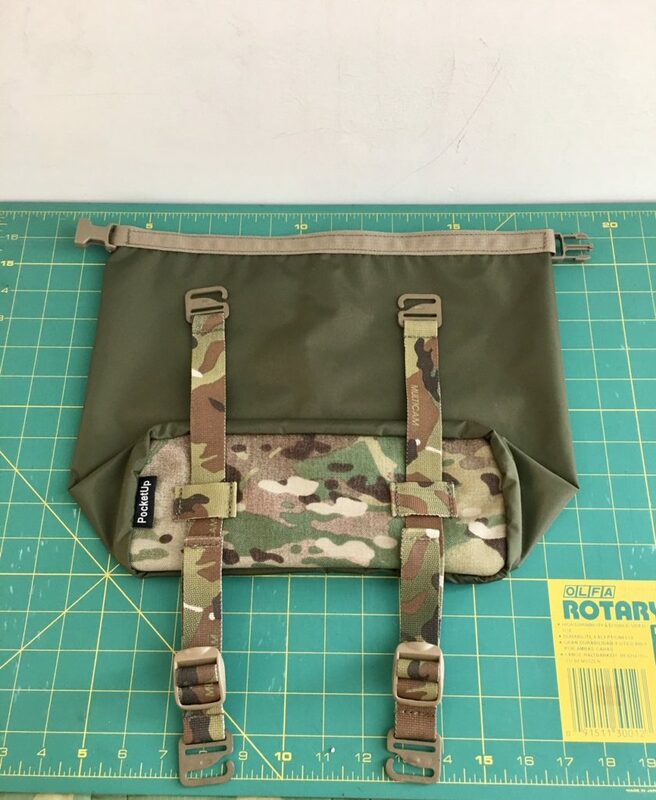 Wilde Custom Gear is currently offering a 10% discount on pouches when you buy a new Modular Laser Cut Chest Rig so you pick up a new rig and save money on the pouches you need to build it out. Mission Spec has just released the first look at their new LOMOP™ (Large Or Multiple Operator Platecarrier). At first it appears to be just another large plate carrier but when you see it to scale against a ‘normal’ carrier you will come to one of two conclusions. Either Mission Spec is gearing up for a genetically engineered super soldier program or someone has been thinking outside of the box. While it looks as if it was designed for one huge shooter, “Which is always an option if the world ever gets it’s genetic engineering priorities right.” Added the same project leader, the LOMOP is designed to house two operators at once. One shooter supports a single oversized shoulder strap with another shooter doing the same on the opposite side. At anytime the LOMOP can be rested on the floor and utilized as a fighting position. Dignitary protection will also find the LOMOP useful. Imagine a scenario where a VIP has just been recovered from hostile force. The LOMOP can completely envelope the principle while an operator on either side (still under cover) can fight and move to egress. 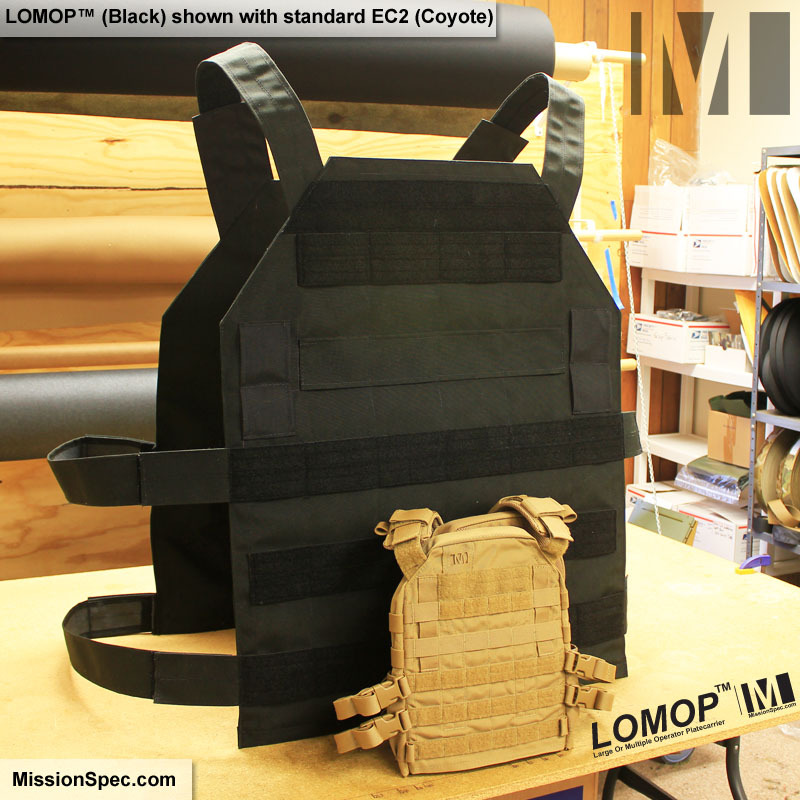 Currently there is no level 4 armor insert available to fit the LOMOP but Mission Spec is working on that problem now. “We have contacted many armor producers, but they all seem to think it is a joke and hang up laughing before we can explain the benefits. Some people in this industry have no ability to look forward to the future.” The project leader remarked. Look for the LOMOP to start deploying to teams in Q3 of 2019. This will be an ITAR item. Gadsden Dynamics just turned their product line on its ear. 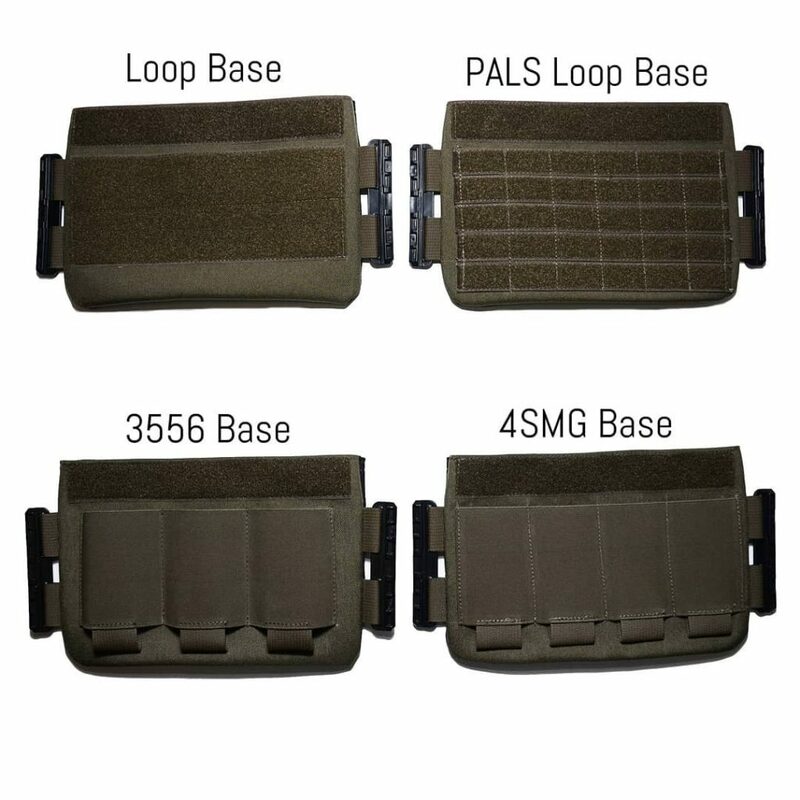 They added a brand new modular plate carrier, the ALPC, and applied some updates to their entire line of chest rigs. The ALPC is both modular and customizable. Its components are available a la carte so that the end user can build exactly what they need. The “Front Base” is the key part of the ALPC’s modular design. This part is somewhat like a standard placcard or cummerbund flap in how it is affixed to the front plate pocket. It is available with a number of load carriage options and can easily be swapped. 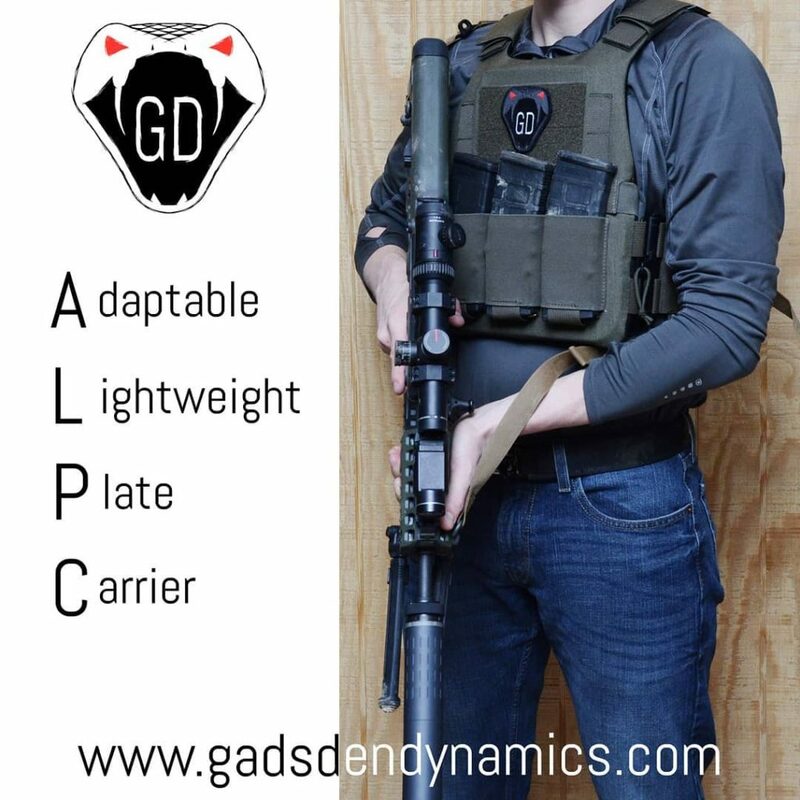 Additionally, Gadsden Dynamics will eventually offer completely custom configurations like they do for their chest rigs. Additionally, Gadsden Dynamics has updated the harnesses on their entire line of chest rigs. They are now removable and come with everything you need to attach them to industry standard plate carrier attachments. Hill People Gear just added three new color and fabric options to their product line. The Recon Kit Bag, Umlindi, and Palspocket are all sporting some new options. Hawkrigger has been offering the Grapple Gun belt for more than a year but, unless you were watching closely, you may not have noticed the near constant improvements it has received. 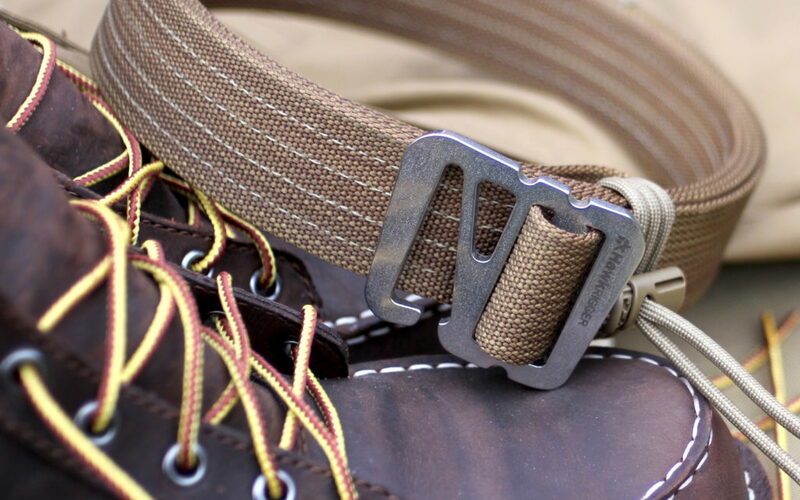 The Grapple’s distinctive buckle is actually in its fourth iteration. It recently received new tweaks to improve how it grips the webbing, how comfortably it wears, and some updated looks. The webbing has also been upgraded. The original 1.5″ Grapple, the 38 Grapple, is now constructed using a double layer of US made scuba webbing. 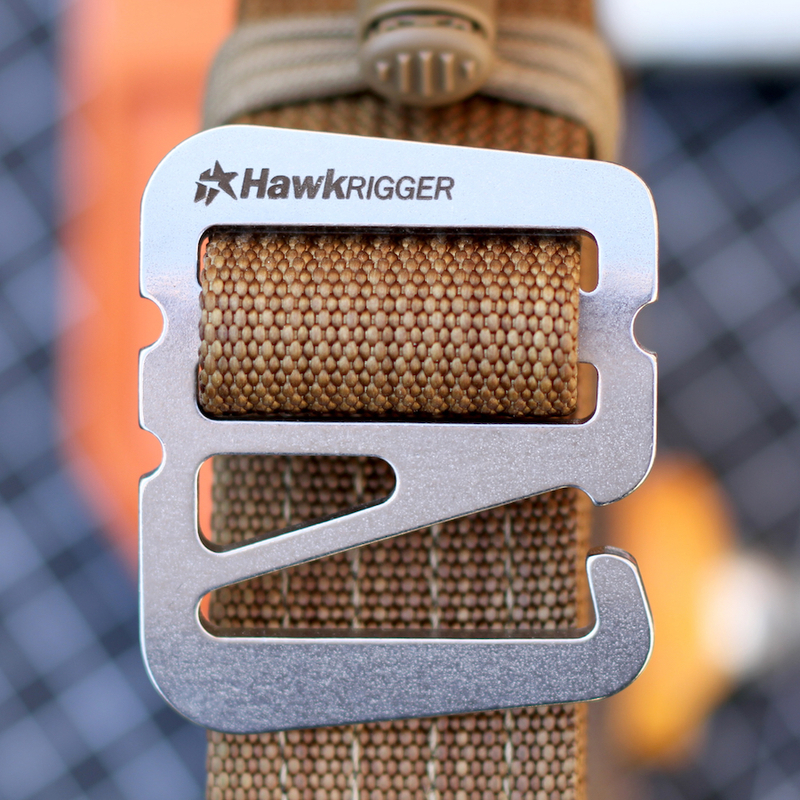 Hawkrigger has also introduced the new 45 Grapple, a 1.75″ version. It is constructed with a double layer of US made Type 13 webbing. On top of all that, Hawkrigger also offers limited edition versions of the Grapple belts with black PVD coated hardware. These are typically offered in small runs when the hardware is available. Check out Hawkrigger.com for more details. PocketUp is a relatively new nylon gear company with someone you may already know at the helm. It was started by Mel Terkla and his wife Rena. 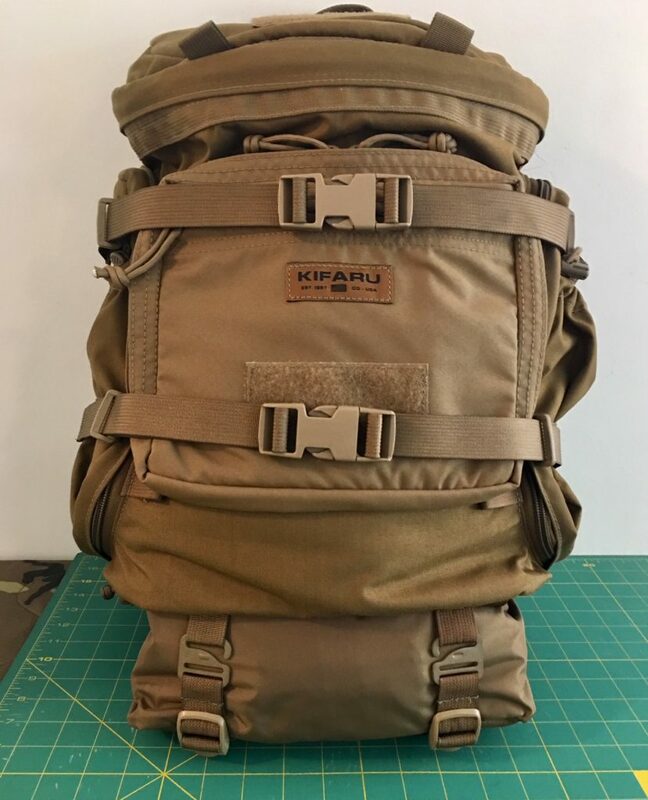 Mel has been designing and building in this space for years including a long time stint as a designer and head of sales for Kifaru’s military sales division. Their newest product will look familiar in concept to Kifaru users as Mel’s fingerprints are all over it. Their new Mini Pods are designed to be a versatile pouch that can be docked to almost any backpack with webbing on the bottom or sides. 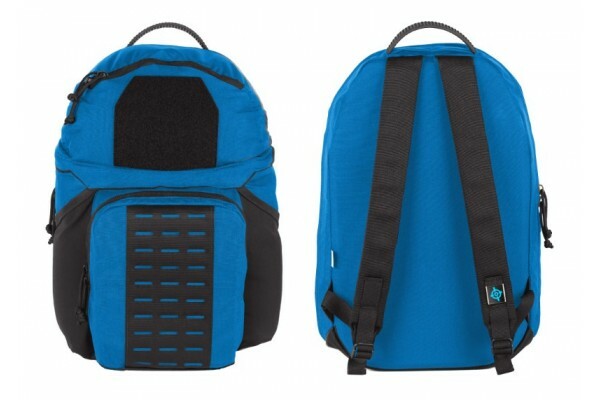 The pouch features a 1000D Cordura top available in a number of colors. The skirt of the pouch is 40D pack clothe and is closed with a roll top. The Mini Pods have two compression straps that serve to both compress the contents and attach the pouch to your main pack. One side of the straps have a G-Hook and the other has a G-Loc. This strap and hook combination provides a lot flexibility in how the Mini Pod can be attached to a host pack. Check out the Mini Pod and the full line of packs and pockets at PocketUp.net. ONYX Advantage, a custom tactical gear maker, is taking tactical flannel to a whole new level with a flannel plate carrier. High speed, low drag? Nah, more like… Low profile, high fashion! 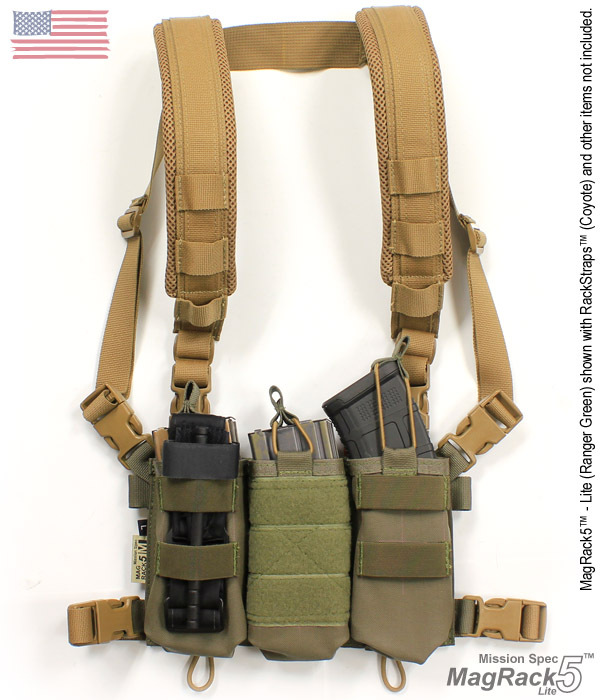 Mission Spec has released the slimmer version of their signature chest rig as the MagRack5-Lite. This lighter weight version of the original MagRack5 is nearly identical except for the subtraction of the laser cut PALS wings. The MagRack5-Lite can be used as a standalone piece of gear (with the addition of Mission Spec RackStraps™) or can be integrated into a plate carrier setup such as the Essentials Carrier 2 (EC2)™ or Armor Carrier 2 (AC2)™ also available from Mission Spec. 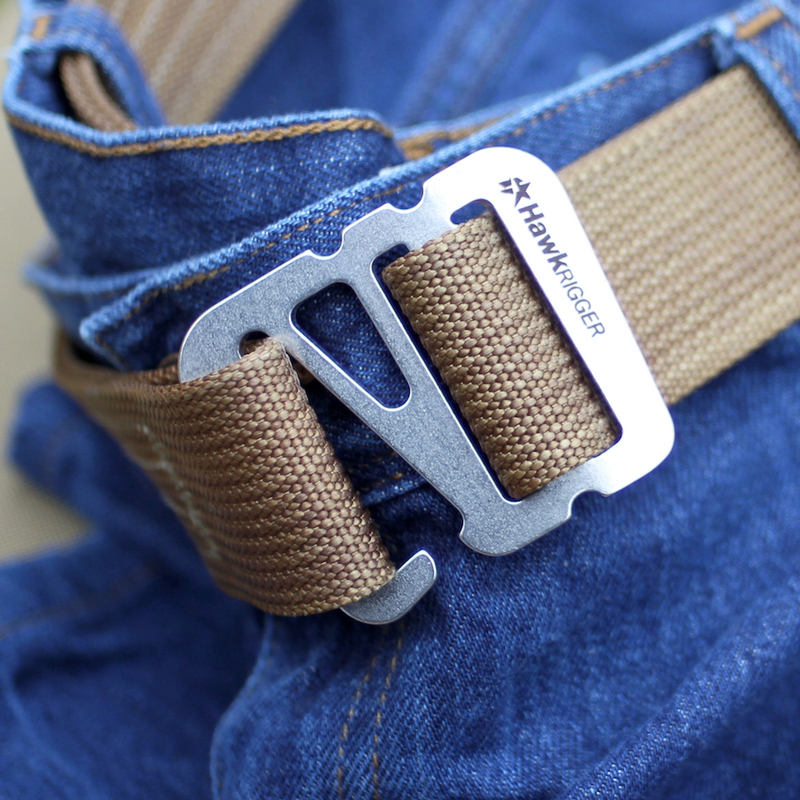 The MagRack5-Lite uses industry standard buckles and buckle patterns to make integration with other gear as easy as possible. 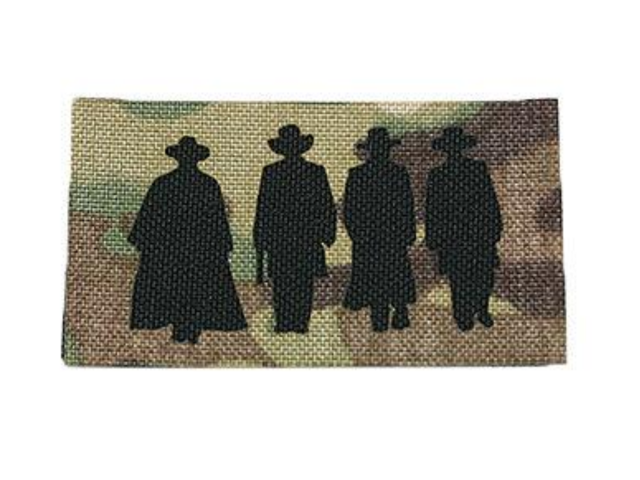 Available now in a large variety of solid colors and camouflage patterns. All Mission Spec items are 100% designed, tested, and manufactured in the United States with US-sourced components and are Berry Compliant. When you look at the image above, you know exactly who it is and what movie it is from. This laser cut patch is 3.5″ x 2″ and backed with hook material. It is made from two layers of 1000D Cordura Nylon where the top layer is cut with the pattern, allowing the contrasting color to show through.